Texting people at odd hours is considered rude but waiting until morning and risk forgetting it, is even worse. We schedule our work emails all the time so why not do it with personal texts as well? Here are some of the best apps to automated text message on Android and iOS. These apps not only let you sent automated SMS or WhatsApp message at a specific time but also lets your auto response to text messages. So, what are we waiting for, let’s check them out? Before you download any third-party apps, it’s always a good idea to check if your OEM support SMS scheduling by default. 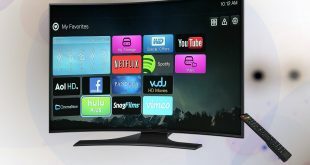 For example, some OEMs like LG and Samsung do offer this feature natively. 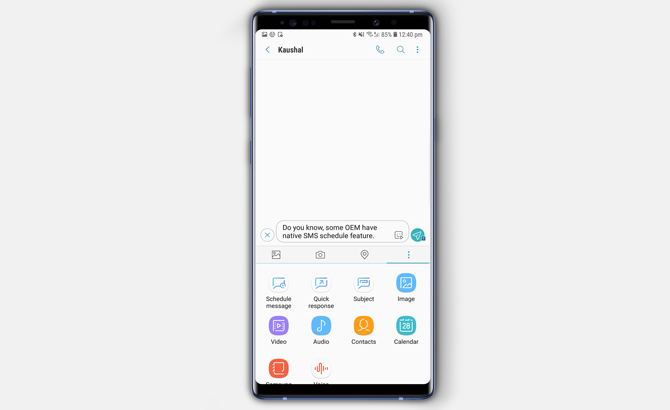 I found this feature on my Samsung Note 9 built right in the Message app. To check if your Android smartphone has SMS scheduled built-in, open the default messages app, send a test SMS to any contact, and tap on the 3-dots (options) menu on the top or bottom. This should bring up the scheduled messages option if it has it. If there is no such option, fret not, you can still use any of these following apps. 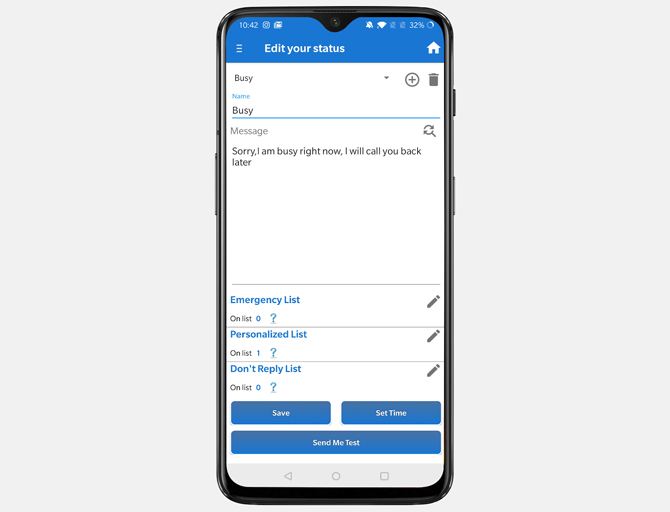 SMS Scheduler is an Android app that not only lets you schedule texts in advance but you can schedule a single text to multiple contacts. This feature comes in handy in situations when you have to send a common message like a meeting agenda or timings to a group of people. Simply, select a contact and keep adding contacts by tapping the + button next to the contact field. 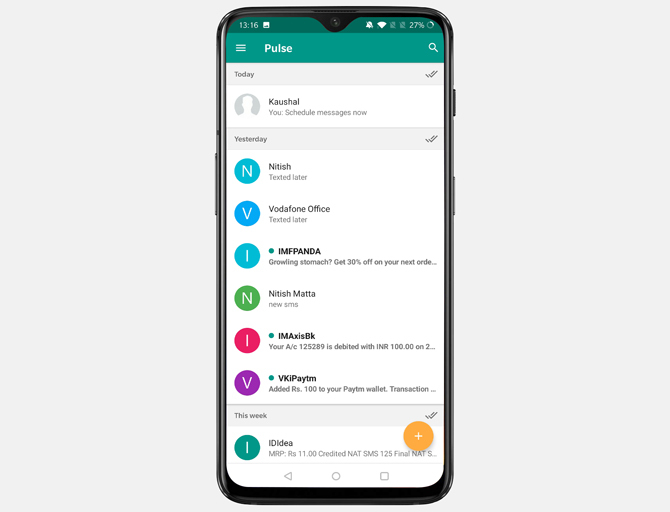 Pulse is a popular SMS replacement app and comes with a bunch of additional features. It lets you schedule, blacklist, auto-reply, and delayed sending. You can even text from your computer using Pulse browser extension. Other features include backups, passcode on private conversations and inbuilt link preview option which shows a preview of a link sent through text message. Although some features like the text from any device are paid and you would have to take a subscription plan($ 0.99/mo) to use those features. You can pay a one time fee of $10.99 and own the app for life. Scheduled as the name suggest, is an SMS scheduling app that works on both, Android and iOS. It includes some advanced features that set it apart. You can import birthdays from the calendar and set it to send wishes automatically. You can curate and schedule messages for WhatsApp, iMessage, SMS, Twitter, Telegram, Line, etc. This app links with your Calendar and suggests any possible messages that may be in your upcoming events. For example, If your calendar event is about an upcoming meeting, the app shows a suggestion of sending a message to your office group. The app, though free, cannot send the messages automatically, you would have to manually activate the feature by purchasing the subscription pack which costs $2.99/mo. As the name suggests this app lets you send pre-programmed text messages activated by a trigger. For example, I create a busy list and add 7 contacts in it. Those 7 contacts would receive a busy text whenever they contact me. The list also has other lists like sleeping, driving, meeting, class, etc and you can customize each list with your contacts. We’ve got text messages covered but let’s be real, if you live in India or Europe, chances are you are using WhatsApp over the traditional SMS. 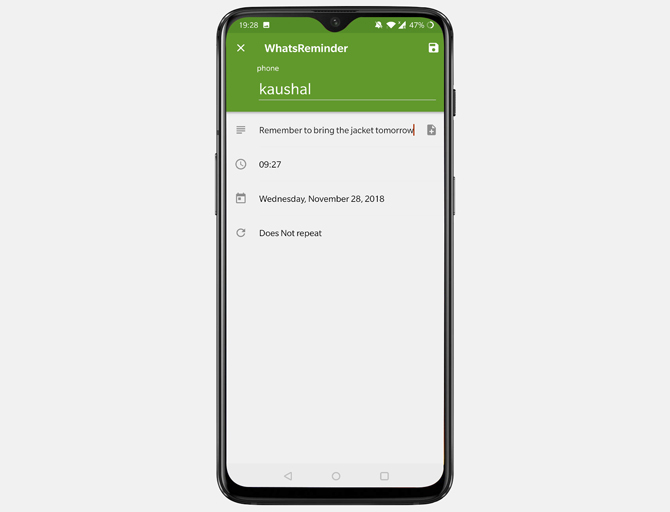 Much like SMS Scheduler, you can schedule text messages on WhatsApp with WhatsReminder. It does, however, require special permission to work properly. So, make sure you turn the ‘Accessibility service’ before using the app. Once done, to set a scheduled text for WhatsApp, tap on the Add icon, select a contact by either entering the number or choosing from the contacts list, and press submit. You can write a message or choose a template (anniversary, April fools, Best Wishes) from the list. After that select date and time, and press save. You can also set a repeat action which would send the text on specific times. Overall the app works great but the mechanism used by the app to compile a WhatsApp text is quite impractical. Note, due to Android restrictions, this app (or pretty much any app) will use auto input method. In simple words, it simulates actions such as, automatically open the WhatsApp app, type in the message and press the Send button. There is no way to send WhatsApp message without actually opening the app. Also, your phone needs to be unlocked, for this to work. If you have parallel WhatsApp enabled, you would have to uninstall that to use this app. Also keep your device unlocked*check it first. 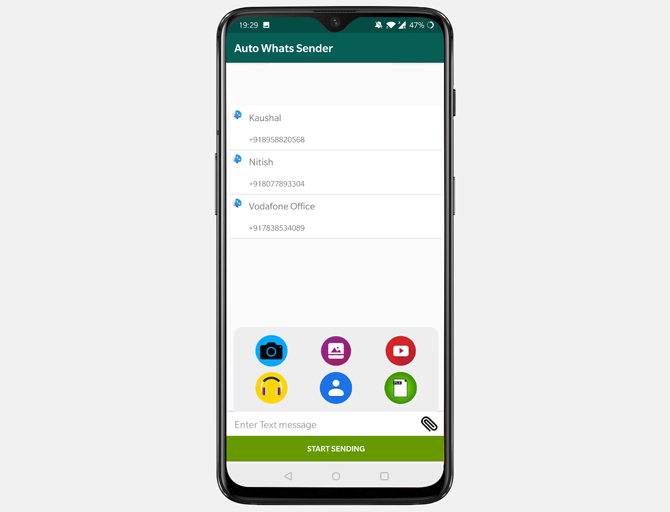 Auto Whats Sender works using the same accessibility service used by the previous app but you can send bulk messages to contacts even if they aren’t saved to your contacts list. You can select the numbers from your phone’s call log, saved contacts, or manually enter each contact. After you’ve created a list of all the contacts, compile the text and press start sending. Along with text, you can add images, videos, audio, contact, and files to the message. The app has a few ads which cannot be removed as the developer hasn’t offered an ad-free version. 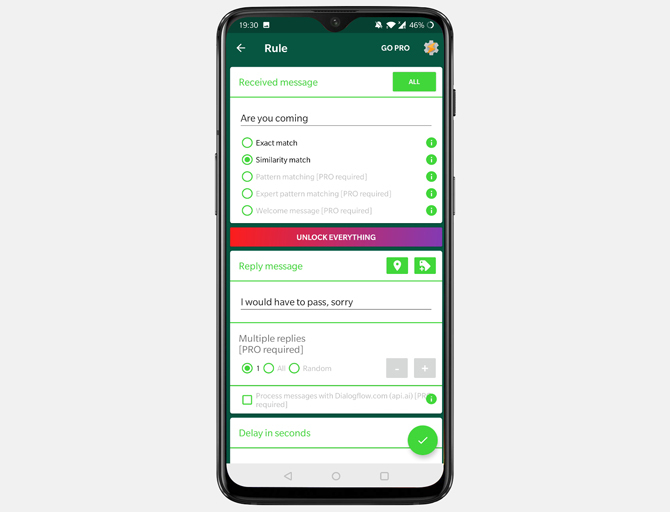 This app although doesn’t schedule your WhatsApp texts, instead, it lets you automatically reply to your WhatsApp messages. Let’s say I receive a WhatsApp text which includes a set of words “are you coming”, I can simply set a rule that whenever I receive this phrase it should trigger a response “I would have to pass, sorry”. 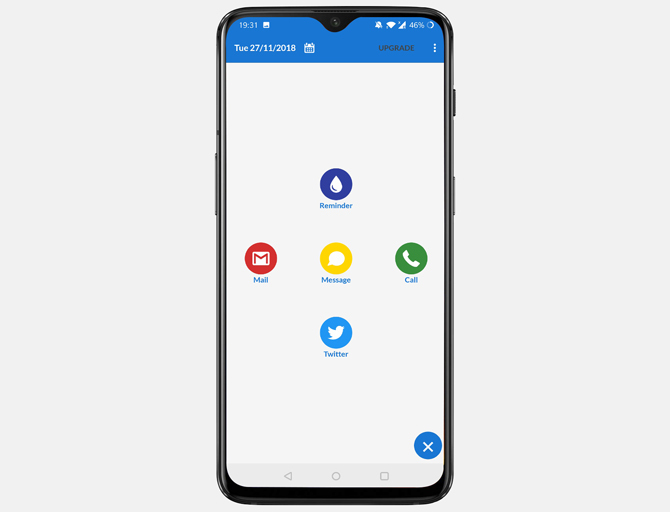 Unlike other apps it does not require the phone to be unlocked for it to work, it, in turn, scans the incoming notifications and filters relevant WhatsApp messages looking for trigger keywords. The best thing about the app is the flexibility that it offers. While creating a rule you can select exact match, similarity match, pattern match etc as per your requirement. You can add some level of customization as well to the rules like add specific contacts, ignored contacts, delay etc. Some features are locked behind a paywall but I don’t mind paying $9 for this app considering it automates a big chunk of my WhatsApp conversations. Now, that we have SMS and WhatsApp covered up, let’s take a look at other options. So, Do it Later is another multi-app scheduler that allows you to schedule call reminders, email, SMS, and Twitter. 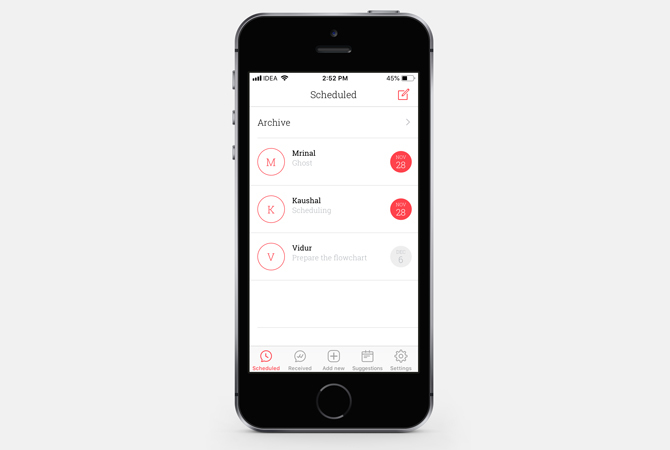 Scheduling a message is easy and you can backup your scheduled tasks in case you have to reschedule them in future. The app is free and locks some features behind a paywall like dual sim support, support for 10 attachments per email, multiple recipient support, etc which you can unlock along with any upcoming future upgrades only for $3. Buffer is a social media scheduling app with which you can schedule posts on your Facebook page, Twitter, LinkedIn, Google+, Instagram and Pinterest. 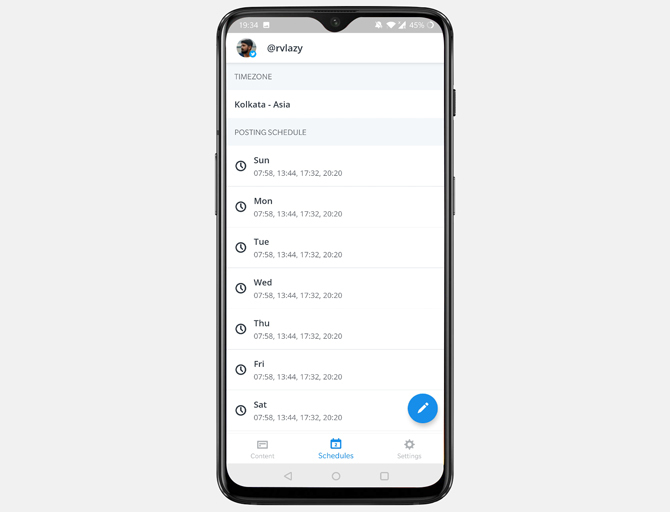 You would connect each account with the app, grant all the necessary permissions and schedule posts. It’s that simple. Every social media account has its own settings and you can customize and schedule each post according to the service. Your scheduled posts show up in the queue and move to the next tab after successful execution. You can set a posting schedule with this app to seem more natural on the Social media platforms. 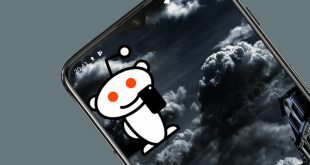 The app has no ads and offers many advanced features like 8 connected social posts, 100 scheduled posts per profile, etc with the pro version. You can get the subscription for the app if you maintain a professional social life for $14.99/mo or $144/yr. The Apps to Automate Text Message? All the apps listed here serve a specific audience. 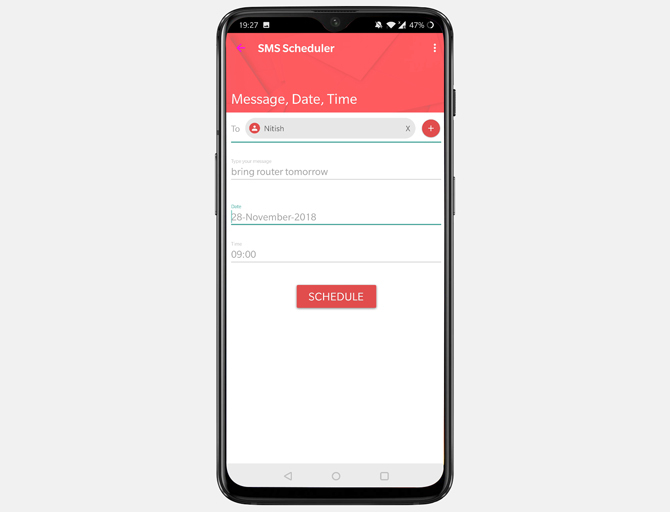 SMS Scheduler is for basic SMS scheduling while Do it Later lets you schedule multiple services like Email, WhatsApp, and Twitter. 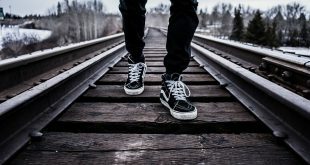 AutoResponder creates an automated system which replies automatically based on triggers and Buffer manages your entire Social Media. These apps help you catch a break from the digital world and make things a little easier. Tell us which apps do you like the most in the comments down below.